Posted on September 17, 2017 September 17, 2017 by Kerri Maniscalco	This entry was posted in Creepy Stories, For Readers, Happy Things, Hunting Prince Dracula, Jimmy Patterson Books, Little Brown, Publishing, Reading, Release Day, Sparkly Things, STALKING JACK THE RIPPER, Ya, ya books, Young Adult Novels and tagged Audrey Rose Wadsworth, Dracula, Gothic Horror, Kerri Maniscalco, meeting thomas cresswell, preorder, stalking jack the ripper series, Thomas Cresswell, vampire books, vampires, YA, YA Gothic, ya mystery, YA Thriller. Bookmark the permalink. 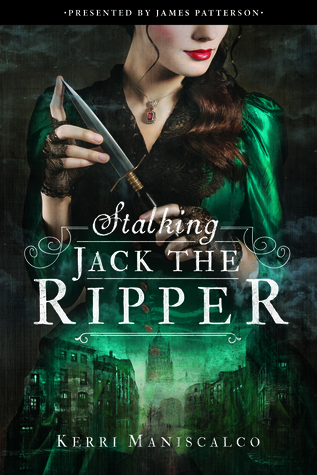 ← STALKING JACK THE RIPPER paperbacks are now available!